Hello, everyone. As you might guess from the headline, I'm feeling very ill. I've caught some bug that's stuffed up my head and is making me ache all over, especially when I cough. So, yeah. It's not fun being me at the moment. But I wanted to give the aspiring writers out there a heads up on a couple of contests in the blogosphere. There's a contest going on at Got YA that focuses on voice in your manuscript. Your entry should consist of 200 words from your manuscript that best showcases your story's voice. Entries will be judged by author Hannah Moskowitz and agent Taylor Martindale of the Sandra Dijkstra Literary Agency. The contest is open until this Friday. Also, there is a contest beginning on May 1st at author J.A. 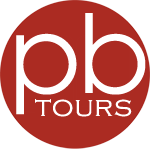 Souders's blog and details can be found here. Good luck to all that enter! Be sure to let me know if you win and I can announce it here for you. Hello, everyone. I hope you've all had a pleasant weekend. Let's celebrate this lovely Monday morning by chatting with another great aspiring writer. 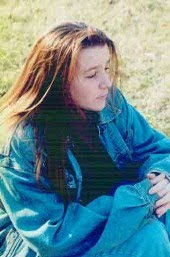 Heather E. Sedlock is a mother of two boys with special needs. In addition to contributing to various online parenting websites, she also writes poetry. Welcome, Heather! Tell us, how long have you been writing poetry and how did you get into it? I’ve been writing poetry since my first assignment in second grade, at about age 8. The poem was titled 8 balloons and was a creative writing assignment from the teacher. It was considered to be very good and was submitted by the teacher to local press, the school paper as well as a contest. I won the contest and so figured I must be good at this writing thing! My mother was a huge encouragement growing up. She has the same skills and wasn’t encouraged during her childhood and so she was more than happy to live vicariously through my writing endeavors. What are your inspirations for your poems? Oh, that’s a good question. Some come from my own mental health issues stemming from having social anxiety disorder, OCD and PTSD… some comes from my relationships… some come from observations of others… just life in general. Life happens every moment and each moment provides an inspiration for a poem. Do you read poetry yourself, and if so, who are your favorite poets? Besides featuring poetry on your blog, do you share your poetry with friends or family? Yes, yes I do! One poem I had written was published in an anthology, called “Colors of Life,” with other authors. It was about family relationships. I signed a copy and gave it to my father who I had dedicated the poem to for a Christmas gift. I often write poems for others, print them out on pretty paper and then frame them as gifts. It’s a talent I have and I use it to share with those I care about. I want to let them know today how much they mean to me now while I still can. There are no guaranteed tomorrows. Do you have plans to put together a book of poetry for publication? Other than the “Colors of Life,” I have not considered publishing my poetry. I consider it a bit personal actually. More like a journal than something for public consumption although I do share it on my blog for just that purpose. It’s difficult to describe. I’d feel guilty selling my poems through a book to others. I think they should be freely given. Which of your poems are you most proud of? For some reason I can’t explain, the poem “Fear” is my favorite of my own. I don’t know why I’m so proud of it other than it was really a challenge for me to open up so much and left me feeling exposed and raw after I had written it. Click here to read Fear. I understand you're also writing a novel. Can you tell us the title and genre? Yes, it’s untitled but it’s a romance book with a fantasy flair. A woman named Jess is hired to look after an old woman who is receiving hospice care services. The woman one day disappears and there is a young woman now living in her home claiming to be the old lady, renewed. The young woman is refusing to leave until her love returns for her. How she comes to be young again and who this lover really is, is what Jess is left to find out. Sounds interesting. How did the idea of the book come to you? *grins* I wrote a poem. The poem became a short story. And then now the short story is becoming a novel. How it came into my head to begin with? I don’t know. When I write, it’s like a movie happening for me and all I’m doing is transcribing what I see on my mind’s screen. I don’t use an outline. I don’t do character maps or plot lines or any of that. How far along are you now and what is your word-count goal? I was finished in the writing part until I lost the manuscript in a move. How tragic! All I had to do was revisions and editing. Now I’m about 25,000 and going for about 150,000 or so. How devastating, but glad it's all coming back to you. What's your next step? 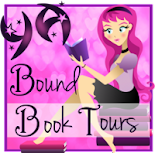 Do you have a beta reader or critique partner? I do. My primary beta reader is my husband. He’s not afraid to hurt my feelings if something isn’t quite right. He’s also great at spotting typographical errors! He was a systems data analyst for years, so his eyes are trained for noticing inconsistencies. Otherwise, I keep it to myself until it’s done. When a project is done, I’ll let then ship it around to some writer friends of mine. Once those critiques come back, I junk them or incorporate them, based on what I think is best for the story. Then I send to some friends of mine who are editors by trade if they have “extra” time. And I usually accept their suggestions. I’ve had my articles published on numerous other websites but those are the ones I have an on-going relationship with. I’m also on Twitter as @heathrbabes and facebook. Heather, thank you so much for chatting with us. I wish you much success with your rewrites. Please let us know when you've reached the next step in your publishing journey. Welcome back, fellow aspiring writers. 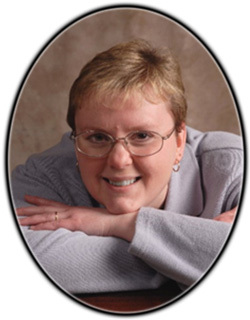 Today I have the honor of chatting with award-winning romance author Sandy James. Sandy is a psychology and US history teacher in Indianapolis. She's married with two grown children and owns a small racing stable of Standardbred Harness horses. Nice to have you here, Sandy. You've written quite a lot of books. Tell us about how it all started. I consider myself as having two “starts.” The first was my start at writing; the second my start in publishing. I wrote my first book the year my son was a senior in high school. Empty nest was on the horizon, and I was very involved in the lives and activities of both of my children. That left me a little terrified that all I would do once they were gone was stare like a zombie at the television or read myself into a coma. Since romance has always been my first choice of genre to read, I often wondered if I could write one. But I never really had the motivation to try. Then I read a book that aggravated me so much, I figured I might be able to do a better job, so I gave it a try. One book, and I was addicted. The characters started to talk to me so often, I had no choice but to write their stories. I only wanted to write for fun until I had a couple of friends at my school who asked to read the first book. Then they wanted to read the next. Their encouragement led me to look into whether I had the potential to be published. My first step was to talk to my father-in-law, M.R. James. He’s a multi-published author, and I begged him to look at my first book. He took a red pen to it and taught me so much about the craft. I’ll be forever grateful for his help and his honesty. I decided to educate myself more, so I attended a local writers’ meeting and realized I’d found a “home” at Indiana RWA. Not only were the women of the group the most supportive people, but I also was lucky enough to meet my mentor, Judie Aitken. She took me under her wing and encouraged me to not only keep learning but to test the water by entering some writing contests. I finaled in the second one I entered. I enjoyed that so much, I became a “contest diva,” and I’ve met the nicest people through contesting. I’ve made several friendships I know will last a lifetime. My success led me to decide to actively pursue publication. I queried agents while also looking for a home for my stories. Sad to say, I landed a newer agent who ended up being the wrong one for me. She didn’t make many submissions and was very hard to contact. The good thing was that I had a year of not only growing in my craft, but I learned many valuable lessons about the business. When I finally decided to part ways with her, I submitted to BookStrand on a friend’s advice. She was published by Siren, which normally puts out erotica, but their new imprint BookStrand was accepting mainstream romance. I sent Turning Thirty-Twelve, a book I loved but was afraid no one else would enjoy because it was about a middle-aged heroine. Amazingly, they bought it. What I like about BookStrand is that they demand quality. Many epublishers churn out books so quickly they’re often riddled with flaws and are poorly edited. Not so with BookStrand. The editor helped me improve the book, easily evidenced by the fact that Turning Thirty-Twelve won the Aspen Gold Readers’ Choice Award for the Best Contemporary Romance, beating two Harlequin books. It also finaled in the Colorado RWA Award of Excellence Contest and is a current finalist in the Wisconsin RWA Write Touch Readers’ Choice Contest. I understand the success of that book lead to a contract with BookStrand for your Damaged Heroes series. Can you tell us a bit about that? After I sold Turning Thirty-Twelve, I started querying agents again. 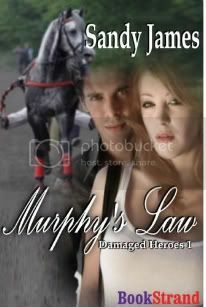 I also decided to see if BookStrand would be interested in my horse-racing story, Murphy’s Law. It had been successful in contests, but I wasn’t sure it was what BookStrand was looking for. It’s my longest book at 116K words, more epic than the normal mainstream titles they published. I was thrilled when they offered me a contact! About two weeks later, I received two offers for agent representation. Both agents are good, but I chose Maureen Walters of Curtis Brown, Ltd., because of her success in romance. Unfortunately, I couldn’t let her work on my Damaged Heroes series because by signing Murphy’s Law to BookStrand, my contract gave them first right of refusal on any books using the same characters. They bought all three sequels sight unseen. Maureen might have been able to find them a bigger house, but I never regret selling those books to BookStrand. The people there have been phenomenal to work with, and I have learned so much about the publishing industry from editing, releasing, and marketing those books. I also have a small fan base and tons of excellent reviews. My work with BookStrand has given me a foundation upon which I can grow my career. How did your books get marketed? Did BookStrand provide a service to get your name out there? BookStrand maintains a quality website that attracts lots of readers, but they’ve also been generous enough to feature all my titles in a Romantic Times ad. They even had the cover of Turning Thirty-Twelve on the home page of the Romantic Times website. An author can only count on so much marketing from her publisher. I have been actively marketing my own stories. I established a website, a MUST for any author seeking publication. I also joined GoodReads and have connected with many readers on that site. I have a FaceBook fan page that I’m happy to say now has over 800 fans. I have an Amazon.com author’s page and post my books, reviews, and blog entries there. I believe the Internet offers so many opportunities for writers to get their names out there, but writers can’t expect opportunities to fall into their laps. I’ve devoted countless hours to promo, from posting on Yahoo loops to interacting with fans in chats, to holding book giveaways and contests. Depending on what you want to spend, there are a number of review sites you can use for advertisement. I suggest you target high profile sites, and I’m not entirely convinced those ads really deliver for what they cost. But I’ve been willing to try any route that seems to have potential. And you've won a whole bunch of awards with your books. Did this winning streak help you in landing your agent? I’ve been so lucky with contests. I’m proud to say I’ve finaled eight books/manuscripts in twenty-eight writing contests. Not only has Turning Thirty-Twelve done well, but Murphy’s Law and Free Falling were both EPIC finalists. Such an honor to have two of my books considered among the best ebooks published for the year! All the Right Reasons was a Gayle Wilson Award of Excellence finalist and is a Colorado RWA Award of Excellence Finalist. And Faith of the Heart is a Wisconsin RWA Write Touch Readers’ Choice Award Finalist. How wonderful to be able to say every one of my published books has been a finalist in a national contest! To find my agent, I journeyed through Query Hell, just like most writers have to travel. The key to landing a good agent is not only having a wonderful book but giving the agent an author she can market. While my contest finals might have caught Maureen’s eye, I think it was my willingness to work hard, to listen to constructive criticism, and the fact that I’m prolific that brought about her offer to represent my work. No agent wants to represent a “one hit wonder” or someone with an ego so large she refuses to listen to suggestions for improvement. I strongly suggest authors research agents and never settle. There are so many good firms out there, but there are bad ones as well. Having a bad agent is worse than being unagented. I’m truly blessed to be working with an agent of Maureen’s caliber, and her faith in me gives me the confidence to keep trying in a business that can be so discouraging. Besides your agent, do you have a critique partner or beta readers? My mentor was the first person to critique my stories. I also worked with her in a critique group (my beloved “Critters”) who helped me improve. Since I write so quickly, and because the group’s dynamics kept shifting which made it hard to meet often, I decided to find a critique partner who worked as fast as I do. My critique partner and I actually met through my first agent since we were both represented by her. Leanna Weissmann’s like my other half, and I give her SOOO much credit for helping me make my stories popular. She has insight and isn’t afraid to tell me when something doesn’t work. I also love reading her YA stories because they’re a change of pace from romance. We exchange a couple of chapters a week online. My mother is also a beta reader who does a fantastic job helping me proofread. She’s one of my biggest fans, which means the world to me. Maureen is trying to sell my Amazon urban fantasy series. Three of the four books are complete, and the fourth is one of my WIPs. All three completed stories have been contest winners or finalists. I also recently finished her suggested edits on a time travel that was actually my first book. I took a long look at it several months ago, deleted the file, and rewrote it from scratch using all I’ve learned since I started writing. Hopefully, we’ll have it on submission soon as well. In the meantime, the best thing for me to do is to not angst over submissions but to keep writing. I’m currently working on a women’s fiction about a class reunion that is reminiscent of Turning Thirty-Twelve. I also started another romantic suspense. Just a few weeks ago, I completed a historical based in the Old West. My critique partner is ripping it to shreds right now before I send it to Maureen. I’m definitely not limiting myself to one sub-genre. I write what talks to me and stories I would enjoy reading, no matter what path they lead me down. Looking at your track record, one wouldn't think you had any difficulty when it comes to writing. Is there anything you find hard about being a writer? Every writer has some kind of difficulty when it comes to writing. Despite my high words counts, the hardest part of the writing process for me is producing new words. Sometimes it feels like agony, but I make it happen. On the other hand, I absolutely love editing and layering the stories. A bit funny that new words come with so much difficulty considering I’ll be in the first in my writing group to reach the million word mark. Our chapter started a “Million Word Quest” a few years ago based on the premise that a writer should never give up on her writing career until she’s written at least a million words. Monthly, we report in with our progress. As of last month, I was only 14K words from finishing the Quest. I find that positively amazing! Wow, that is outstanding! Any tips you've learned about writing you can share? Never, never stop trying to grow as a writer. Always learn about your craft, and always strive to improve! Music. I can’t write in the quiet. Television is okay, but I tend to get pulled away from the writing, so I depend on my iTunes®. I have a very long mix of songs – almost 400 – that I play in random order and listen to when I write. Barry Manilow. Billy Joel. Michel Bublé. Broadway tunes. Glee. Quite an eclectic mix. I usually have my schnauzer, Dr. Carter, snuggled up to me as well. How adorable! Your very own four-legged writing partner. So here's where you thank the supportive people in your life. Who would you like to give a shout out to? My husband Jeff is a gem. He allows me the time to write and doesn’t complain when I ignore other things to spend time with my laptop. My kids, Laura and Kevin, gave me the courage to even try to write. My mother and father make me feel as if I can be Nora Roberts if I put my mind to it. My sister is my shoulder to cry on and tells everyone about my books. Judie and the ladies from the Critters helped me get my start in writing. And of course my agent and my critique partner. I’d be lost without them! My print books are available on both Amazon and Barnes and Noble websites. Sandy, thank you so much for talking with us today. It was a pleasure getting to know you, and I wish you much success with your books. You're just in time for a great chat with another interesting aspiring writer, so grab a cup of coffee or beverage of choice, get comfy, and let's begin. Welcome to We Do Write, Kevin. Tell us a little about yourself. Good to be here, Dorothy. Thanks for inviting me. My name is Kevin McGill. 32 yrs old. Married. Writing is my full-time gig. Young Adult/Middle Grade Fantasy. My focus is the boy and boy-at-heart. Girls can come over and play too. That's nice of you, lol. Here's the part where you pitch it. What's your story about? Sometime in the distant future when every kid owns anti-gravitational boots but white jumpsuits are worn only by biohazard teams and runway models, Nicholaus is living on the planet called Earth, and he hates it. He has done everything legal to escape and find his way back home, Colony 10D, southside of the moon (Well, maybe not everything legal, but Nicholaus didn’t mean it. Besides, he solemnly pledged to the fire chief and forest ranger that for every tree that had died, five more would be planted in its place). Then, Nicholaus hears her. He discovers that every city has a voice, and she will speak only to her steward. The city of Huron has chosen him. Nicholaus, his brother Tim, and a band of friends are swept into the distant past when Beltara (the moon) and Earth are bound together by the Tether. On entering Huron, a creature with a severe case of halitosis leaves Nicholaus’ good friend Xanthus for dead, he learns that the good merrows bear a dark secret, and Sheriff Cyrus schemes to bring Huron under his rule. Still, Nicholaus isn’t short of help. Wizard monkeys, blue cheek buccaneers, and Jack, with his coat-of-potions, join him in unraveling this twisted plot. Even cla’nu, the mysterious air of Beltara, is on their side. Then, the unthinkable happens. The Voice tells Nicholaus that the creature most foul is living under their very roof, and it may be his good friend Jack. Nicholaus faces mystery, intrigue and holy-cow-I-can’t-believe-he-still-has-full-upper-body-motor-skill danger, all to protect Huron. But how much can she ask of a thirteen-year-old boy? Three events contributed to the story, but I can only share two. The third is related to a 9th century religious sect responsible for JFK’s assassination and emo. I’ve already said too much. The first idea that contributed to the story came when I was twelve. We grew up in the countryside of the San Joaquin Valley, CA. My sisters and I were stretched out on the back deck of our pool watching a brilliant meteor shower. My mother always encouraged us to use our imagination. Looking up at the stars, she asked us: “Use your imagination. Tell me about the moon.” I remember suggesting there was a war between the Earth and the Moon. The Earth won. The craters on the moon were left from that epic battle. The idea that contributed to the story was about five years ago. I was sitting with my wife watching television (I had managed the whole dating thing by then). An image flashed in my mind’s eye. A boy in a ship - a Leonardo Da Vinci type ship. The ship was traveling along a cloud, from one planet to the next. I mused the boy was travelling between the Earth and Moon. Very cool. So, is this epic tale of a manuscript complete or still a work in progress? Seriously though, I hope to be done by September. You must have a monster of a word count from world-building. How long is your book? The current draft was cut from 130,000 to 112,000. I’d like to keep it there. Even get it down to 100,000. The storyline and world is pretty epic, but still, this is my first novel. Self-publishing. If you had asked me 3 years ago, I would have said querying and traditional publishing. But the publishing world is changing. Brick and mortar distribution was the greatest reason to sign up with most publishing houses. But with Kindle, the Ipad, Lulu’s print on demand, distribution opportunities seem endless now. And with enough financial resources and talent, a writer could put together their own team and offer to the reader the book they believe in. I have some brilliant friends who are freelance editors and illustrators (for example http://www.justingerard.com/; http://www.c3cre8ive.com/NewImagMachHub.htm). Some might think marketing would be another reason to sign with a publisher, but it has become obvious that unless you are a best-seller, publishing companies want you to do most of your own marketing. And we can! With YouTube, Twitter, etc., we can do a lot of it ourselves. Lack of credibility for self-publishing might be another factor, but if you write a great story with great characters, the book will override those concerns. So I’m taking the plunge for my first book and doing self-publishing. It will be released near Christmas. We’ll see after that. I have a couple of writer friends. Luke Navarro. Jennifer Dyer. My wife. But they only get to see the 3rd or 4th draft. At first, I let just about anyone read and review the WIP. But now, my rule is that I work on the first couple of drafts by myself before I send it to anyone. Otherwise, I’ll be writing to my critique partner instead of just telling the story. Eventually, I want to get the book into the hands of beta readers. It’s a slow process. Takes forever. Have you ever had a writing session where it takes an hour to get your character to pick up a fork?! Getting the different character voices down too. That’s tough. Every character is unique. Read, of course. Read a lot to be a better writer. Be diverse in your reading. Also, when you are putting your story together, understand the “emotional journey” of your protagonist. I call it the emotional story. My story didn’t become clear until I was able to grasp Nicholaus’ emotional story. Do you have an idea of your book's cover art? I definitely want epic, sweeping. I want the kind of book cover at which you want to stare. I would like to see Nicholaus watching as Huron is being overrun by monsters. He and his friends stand overwhelmed. Rowling (of course), Road Dahl, Edgar Allen Poe, C. S. Lewis, Tolkien, Terry Pratchett, Douglas Adams, Sir Arthur Conan Doyle, O’ Henry, Mark Twain. Charles Dickens, J.J Abrams, Superman, Batman, Drop Kick Murphy’s, Celtic music. Where the Wild Things Are. Kermit the Frog. about yourself people may not know? I’m half black, half white, but most people can’t tell. My Dad and grandparents are from the hood, south central LA. When I visit them it’s cornbread and fried chicken. Most people look at my picture and guess I am a thousand different ethnicities (typically their own). We usually have a good laugh about it. Except a few Israeli guards at the Tel Aviv Airport. They didn’t think it was funny. I was chased by a bull moose last fall in New Hampshire. When standing next to you, they are big, scary looking animals. All the little, cute moose drawings and pictures now raise up a primordial emotion within me. Moose are the enemy. I don’t like coffee in a paper cup. Only mugs. Paper cups bug me. Unless they were edible...(Man, glad I chose fantasy writing. No other genre would have me). Here's the part where you thank the people who are supporting you. Who would you like to give a shout out to? Great! Thank you so much for chatting with us, Kevin. Good luck in getting your book finished in time for the date you'd like to self-publish it, and make sure to let us know when it's available. I'm not the only writer who comes up with crazy ideas in the shower—and certainly not the only person who sings in the shower. Combine the two and you get a whole new world of bizarre. And that brings us to today's post. Today's shower had me changing the words of Katy Perry's I Kissed a Girl to fit a writer's struggle to get published. And yes, I am that insane. I had really planned on filling this week with interviews, but a couple of things got in the way. First and foremost, I'm have a few emails I'm waiting for from some really great aspiring writers—and, that's right, I haven't received them yet. I can understand that though. I think everyone's been jumping back into work after spring break and/or vacations, and it takes time to get to everything. Hopefully I'll have them for next week's posts. The second reason is that my mind is elsewhere today. My husband worked in London all week and was supposed to fly back home this evening. 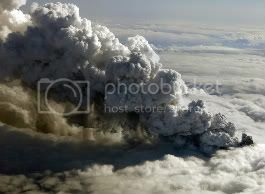 But due to the volcano that erupted in Iceland, all flights have been cancelled, and he has no way of getting home tonight. Poor guy doesn't even have a hotel to stay at yet (the company's travel organizer is trying to sort it all out). So I've been worried about him—and about ash flying over his head and heading this way—which leaves me in no right mind to concentrate on posting a proper interview. I'm sure everything will turn out okay. I'm just a worrier, I can't help it. Today we're chatting with a wonderful aspiring writer named Jenn Johansson. Jenn is 31 and lives in Utah with her husband, two sons and a boy puppy—she says this may or may not have something to do with why she enjoys writing male characters so much. Welcome, Jenn! Tell us about your manuscripts. ORACLE is YA Sci-Fi and INSOMNIA is YA Dark Paranormal. Great titles! Here’s the part where you pitch them. What are your stories about? ORACLE is about Lexi, a teenage girl who has telekinesis and hates it. At least until she meets a group of people from another world and has to help them save those on Earth who are just like her. INSOMNIA is about Parker, a teenage boy who watches other people's dreams when he falls asleep at night. Pretty cool, until he realizes his little "gift" is going to either make him go crazy or die from sleep deprivation. Both terrific premises. I've always wanted to have a dream gift. So how did the ideas of the stories come to you? Honestly, I'm not sure. I think they just evolved over time. A flash of an idea, the boy who sees other peoples dreams, then it is all about asking questions. What then? Until you come up with something really cool. Are your manuscripts complete or still works in progress? ORACLE is complete and currently on submission. INSOMNIA is in the works. For INSOMNIA, do you have a word count goal, and how far along are you at this point? INSOMNIA is intense, so I don't want it to be too long or it's exhausting. I'm aiming for between 60 - 70k. Right now, I'm just over 30k. When INSOMNIA is finished and all sparkly, I'll probably start querying agents. Right now, editing is about as far away as I feel comfortable planning for. I do all of the above. I do a serious amount of self-editing, then I send it to beta readers that are part of my critique group. Every step is essential for me to get to the finished product. I have this moment in the middle of writing every book where I'm just aching to hit the delete key about a million times. I just have to get past it and believe that when it's finished, I won't feel that way anymore. So far, it's working. Good advice. Perseverance! Any other tips you’ve learned about writing you’d like to share? No book is perfect of the first go around. More than half of writing is being a good editor. No matter what you write, be willing to revise and revise until it's exactly what you hoped it would be. Another thing--get out there. Writers conferences, writers groups, anything, just meet other writers and learn from them. Yes, self-improvement, self-exposure, and self-promotion. It's all good! Do you have an idea of your book’s cover art? I gave up the delusion that I'd have any say in this a long time ago. I do hope they use photography and keep it dark. I don't think illustration would be a good fit. Orson Scott Card, Piers Anthony, Tom Clancy, J.K. Rowling... this list could really go on and on. A recent book that really influenced me was, "I Am Not A Serial Killer" by Dan Wells. It's an awesome exploration of good vs. evil. Let’s get to know you on a deeper level. 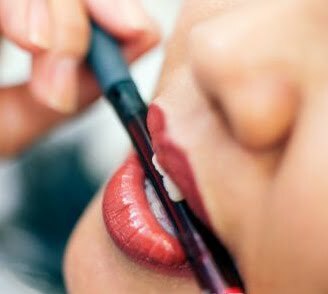 Can you name three things about yourself people may not know? Let's see... I swim, I sing... and I shouldn't be allowed around any activity remotely gym related. Trust me, people get hurt. LOL, okay. So here’s the part where you thank the people who are supporting you. Who would you like to give a shout out to? My writer girls and my family. Without them, I'd still be on page 1. Thank you so much for chatting with us Jenn. I'm crossing my fingers that your publication journey is a successful one! Yesterday I took out my notebook and started jotting down ideas for a story that's been vying for attention in my head. Mainly I was analyzing my new protagonist, trying to give her a real personality that jumps off the page. I haven't really done this before with the other stories I've written—on paper anyway. I usually have a vision of how my main character is and then (with the plot of the book already figured out, of course) just start writing them, making them come alive as I write. The reason I started this new method is because of everything I've been reading lately about stories having a "voice." It's something I think I'm getting better at, but I thought that with a character analysis I might be able to take it up a notch. If I know all the ins and outs of my characters, know how they'll react to the situations I throw at them, I might be able to write them more authentically. Really give them a uniqueness that might be lacking in my previous stories. But we'll see. What about you? Do you have a method to fleshing out your characters, or do you just write them off the cuff? I hope everyone had a great Easter. We Do Write is back to spotlight another aspiring author for your reading pleasure. Today we're talking to Travis McDougald. Welcome, Travis. Tell us a little bit about yourself. I am 40 and I am your Galactic Emperor, I mean you no harm. Sorry couldn’t resist. I am a retired DJ after 15 years, actually I retired 3 years ago when I decided to help my mother raise horses. You will find a lot of musical references in my stories because of that. For my “Day Job” it is absolutely amazing. I get to raise and train such beautiful creatures and spring is here so it is time for new foals (babies). I love horses. And foals, how sweet! So, what is the name and genre of your manuscript? In the year 4012 peace has reigned and science has grown to become that of a god,casting off unnecessary fictions such as religion and love to pursue the purity of scientific knowledge. while children are created in test tubes to be free of all defects. It has been years since the revolutionary scientist Darren Kathudrin disappeared into space after committing the forbidden act of illegal cyberization to revive his son. Now, strange ships have appeared in deep space and Earth is under attack. Only a star ship being decommissioned and a 100 years old stands to defend Earth beginning a chain of events heralding the destruction of not only Earth, but the entire universe. Salvation lies in the most unlikely place: a reclusive warrior with solid gold hair. Exiled because she was born and out casted because she was born to be perfect with the power of gods. Born with solid gold hair and a living metallic skeleton the genetic structure known as Michelle was forced to live alone and be raised by robots and computers never seeing another human. The lessons of an android instructor that taught her nothing but war and death, the ways of the warriors of Earth’s ancient past. Unknown to her that she is destined to fight the perfect war and fight for her very existence as well as the existence of everything and everyone in our universe. Her path to discovery will lead her down a road of peril, misfortune, love, and a battle she has been fated for since before she was born. However, with so many hidden forces arrayed against her, will she live long enough to discover the truth of her past? A dream I had when I was 6 years old, about a girl with golden hair, and then when I saw Star-Wars in 1977 I knew It was meant to be a story and have actually been working on it that long. That's a long time indeed! Is your manuscript complete or still a work in progress? A WiP at the moment because I am changing several key elements throughout the book. Sci-Fi novels are usually lengthy due to world building. Tell us about your word count. The Original word count was 102,526 for “Eternity’s End?” and I am projecting 115,000 for the Razor because I am adding a new scenario into it. The refinished plot is done and the first chapter is almost done, since I type 65 wpm I am expecting to have it re-written and ready to submit by the end of April. That's soon. What is your next step? Self-Publishing is not my goal, I prefer traditional just like all of my heroes were published. I would really like to find an agent but if not many traditional publisher now take unsolicited manuscripts, lots of folks will tell you that they don’t but Penguin has it on their website that they will now. Agents get kind of big headed about the fact that they are an agent so it makes me leery of them. I think that depends on the agent, so good luck in your search for the right one. Do you have a critique group/partner or beta readers, or do you self-edit? I don’t have a critique group but I do have a twitter friend that is reading for me. Clearing my head and sitting down to write, after that the stories flow. Just getting to that point first. Actually a lot but the main thing I would suggest is research, obviously if people can read this then they are connected to the greatest information resource in the world, it’s amazing how much stuff there is on writing. So research and research and then have coffee and research some more. Author C. Clark, Douglass Adams, Isaac Asimov, Robert A. Heinlein, Homer. That is just a small list and I have read all of the works by them, it’s because I have a low IQ that I am not a better writer after having read so many by the masters. Let’s get to know you on a deeper level. Tell us three things about yourself. First of all I have messed with computers since 1984 (my first was a Texas Instruments TI994A) and all my computer names begin with NEA. I was around when the internet came on-line. I love Science Fiction which is why I write it. Really it was all Darth Vader’s fault. I remember coming home and being excited about Vader after I saw Star Wars for the very first time. First of all would have to be the editor that was assigned to “Eternity’s End?” Angela Sasser http://angelicshades.com for her patients and understanding as well as her ability to suggest things. I have a spot on my blog that talks about her editing skills. Thank you so much for chatting with us, Travis, and good luck on the road to publication. As you may have guessed, I've been busy with family because of Easter break. I've got more interviews lined up, but they'll be posted after the holidays, so check back then. In the meantime, I wish you all a wonderful Easter weekend!